The Benefit Cap was introduced on Monday 28th November 2016 and there are now changes to the amount of benefit people can recieve. Working out whether the cap applies to you and your family, or how much it might affect you by can be confusing, and it's important that you get in touch with our Welfare Advisors to discuss exactly what it means for you, and what you need to do. If the cap applies, it might mean that your Housing Benefit no longer covers your rent, and you will need to make arrangements to make sure you don't fall into arrears. This document shows how Housing Benefit will decrease as a result of the cap. If you are worried that you might have been affected by the Benefit cap please get in touch - we will be able to calculate the financial implication and give you advice on your options. Some people are exempt from the Benefit Cap. This means their benefit isn't capped, even if their benefit income is above the limit of the cap. War Widow's or Widower's Pension. The Benefit Cap and Housing Benefit - which benefits are included? The Benefit Cap is a limit on the total amount of certain benefits you can get if you're of working age. The Benefit Cap only affects people getting Housing Benefit or Universal Credit. The cap will apply to your household income from most benefits, including Child Tax Credit and Child Benefit. However, there are some benefits which the cap doesn't apply to. 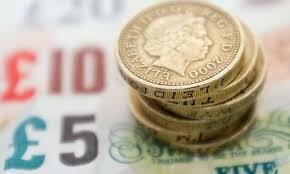 The Benefit Cap - which benefits are included in the cap? Which benefits aren't included in the cap? Statutory Maternity Pay, Paternity Pay, Adoption Pay, Statutory Shared Parental Pay. If you're unsure about what the Benefit Cap means for you and your family please get in touch with our Welfare Advisors.